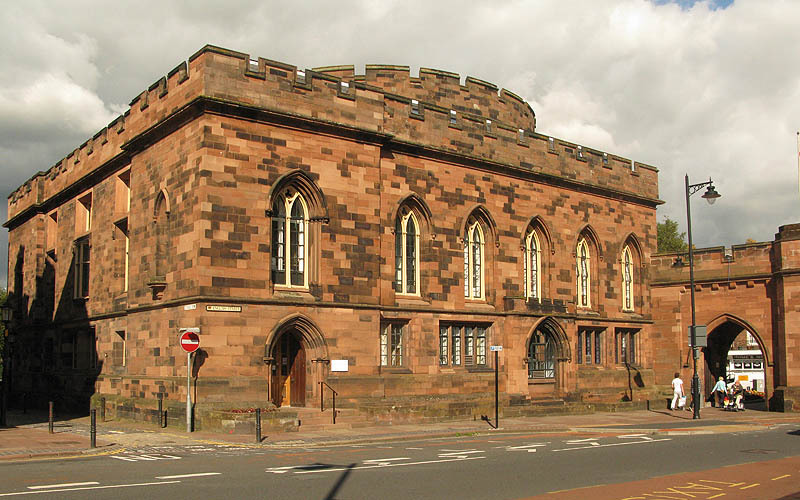 English St, Carlisle, CA3 8NA. 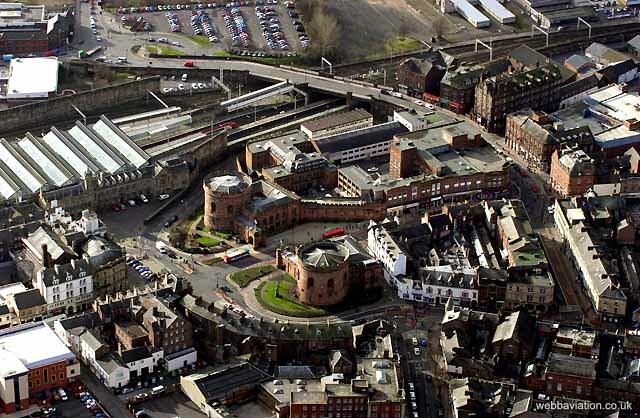 The immense and impressive oval towers that dominate the southern entrance to the City of Carlisle, have a complex history. 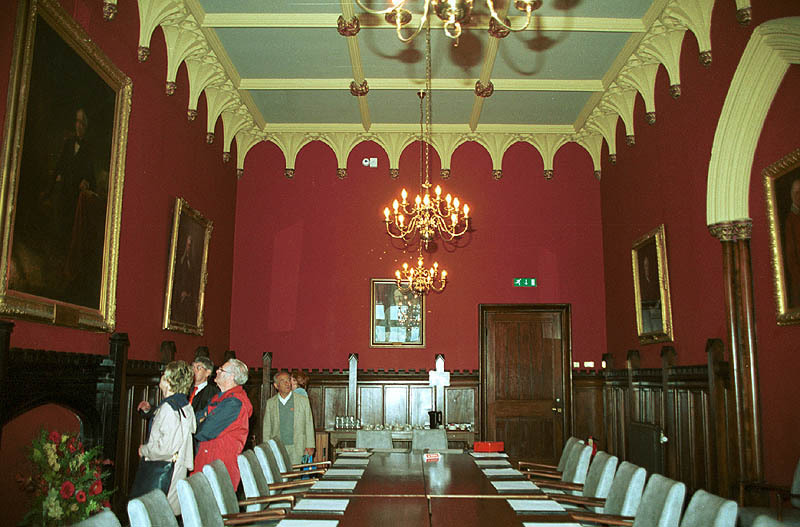 The two bastions known as The Citadel housed, until recently, the civil courts in the East Tower, and the criminal courts in the West Tower. The towers have undergone a major restoration, part funded by English Heritage, and the West Tower is now open to the public. Originally, the gate into the City at the southern end was Botcher Gate or English Gate. In the 16th Century, Botcher Gate was replaced by a fortress designed by Stephan von Haschenperg, which had a central square tower flanked by round towers designed to take artillery. A new gate was made to one side. This was built as part of the national defense scheme deemed necessary as a result of European anger at Henry VIII’s dissolution of the monasteries. In 1810-1811 two new towers, to a design originally by Thomas Telford, and later completed by Sir Robert Smirke, contained assize courts and a prison. Some 16th Century masonry still survives in the lower levels of the Eastern tower. The statue in font of the building, erected in 1845, is of the Earl of Lonsdale, through whose efforts the towers were rebuilt. 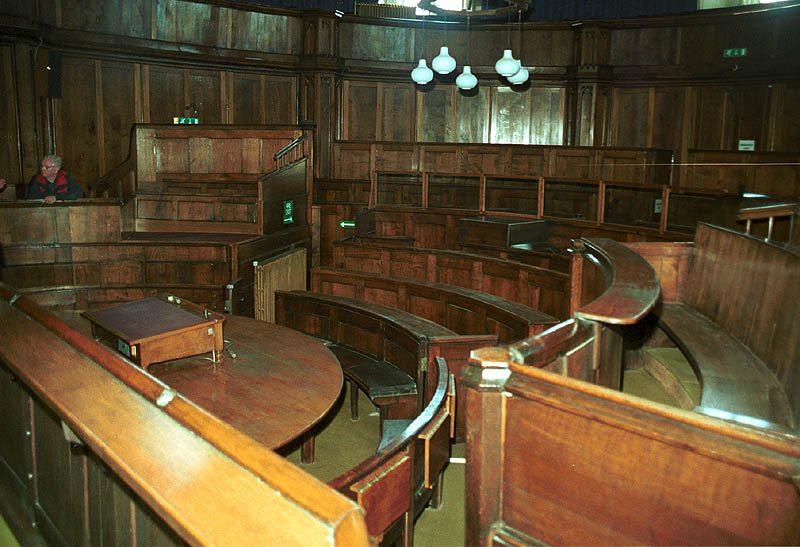 Occasionally visitors can look round the West Tower, and see the oak panelled Number One Court, the Number Two Court, the Grand Jury Room and the cells. In the Grand Jury Room hang paintings of important local people, including James Lowther of Whitehaven, Edward Hasell of Dalemain, and Henry Charles Howard of Naworth Castle. 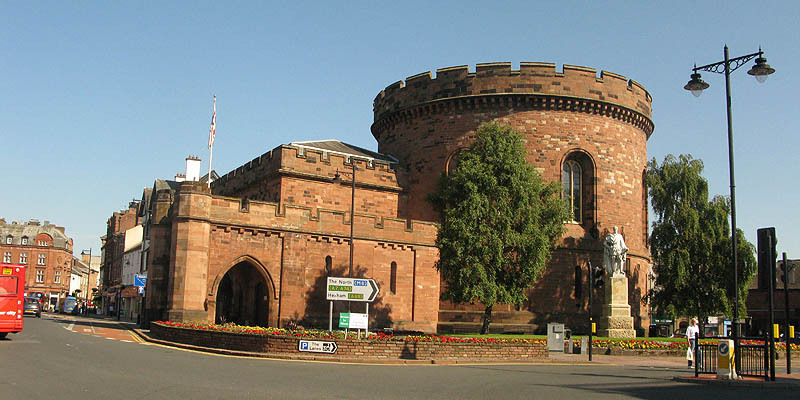 More for information about booking tours – enquire at the Cumbria County Council office in English St (01228 606336).